Stainless steel toilet partitions are virtually indestructible and retain their gleaming beauty indefinitely. These stainless steel toilet partition units combine the strength of #304 stainless steel with a #4 satin finish or textured finish, formed and bonded to a honeycomb core. 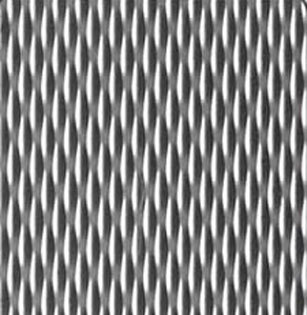 The face sheets of stainless steel partitions are held rigid and permanently in place by an interlocking strip welded at each corner. 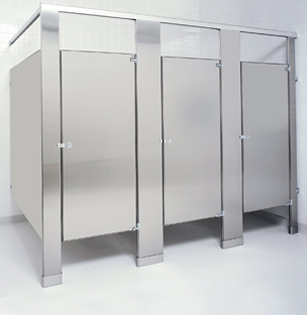 Stainless steel toilet partition components are impervious to just about any substance. 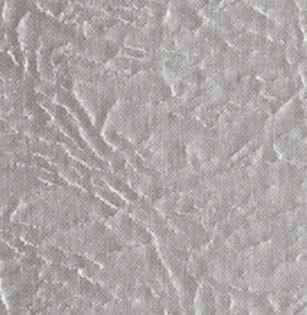 Even scratches caused by deliberate vandalism can be removed by buffing the stainless steel. The elegance of stainless steel toilet partitions components complement any design scheme, both in new construction or renovations.